Marie loved living in Delanco and was involved in many organizations: Delanco Seniors Club, Delanco Women’s Civic Club, Delanco Township Economic Advisory Board, and the JFK Democratic Club of Delanco. Marie served as an enthusiastic trustee of the Delanco Public Library Association. No matter what was needed, Marie was ready to volunteer. Her innovative ideas and willingness to work to see them through were greatly appreciated. Marie was an eclectic reader and a staunch supporter of the Delanco Public Library. That support was evident right to the end of her life. As she made her final arrangements, Marie requested donations to the Delanco Public Library in lieu of flowers. Marie will be sorely missed as a library patron, supporter, and friend. The Delanco Public Library lost a true friend when Jim Queenan died in June of this year at the age of 90. 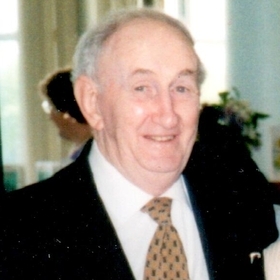 Jim was not only a book lover and frequent library patron, with a special affinity for westerns and mysteries, but he was a member of the Delanco Public Library Board of Trustees for decades. As a board member, Jim was an effective advocate for the library. He wasn’t afraid to speak bluntly if he had a strong opinion about an issue. Jim was on the board for two library relocations, first from the basement of the old municipal building on Burlington Avenue to the Camp Meeting Grounds Shopping Center, and from there to the current location behind the Pearson Elementary School, where the township and school libraries have shared space since 1990. Jim was instrumental in those moves and in many other changes that have made Delanco Public Library a community treasure. Jim served Delanco in many ways. At various times, he was also on the Board of Education and the Zoning Board. Jim’s life of service began at an early age: He was an Army veteran of World War II. No one who knew Jim would say he was a man of few words. He was a man of many words, and if library board meetings ended later than they might have because of Jim’s input, the payoff was that he made good sense or at least was entertaining. Sometimes both. I first met Jim when I joined the board in the early 1990s. He immediately impressed me with his intelligence and sense of humor. Like me, he graduated from Rutgers, so we shared the bond of being alumni of the state university. I would sometimes drive Jim to his home on Union Avenue after a meeting, and we would sit in my car outside his house and have a good talk about the town, the library or whatever else was in the news. I will miss those conversations. Everyone who knew him will miss Jim Queenan.